The preferences and styles of individual people, as well as society overall, are often subject to change on a regular basis, based on their experiences. That’s certainly true within the music world, as the public’s desire about what genres they want to listen to regularly changes. But Denver, Colorado-based band, Straight Six, which is led by singer Jay Quintana, is proving that rock-n-roll music never truly deviates or disappears from audiences’ liking. 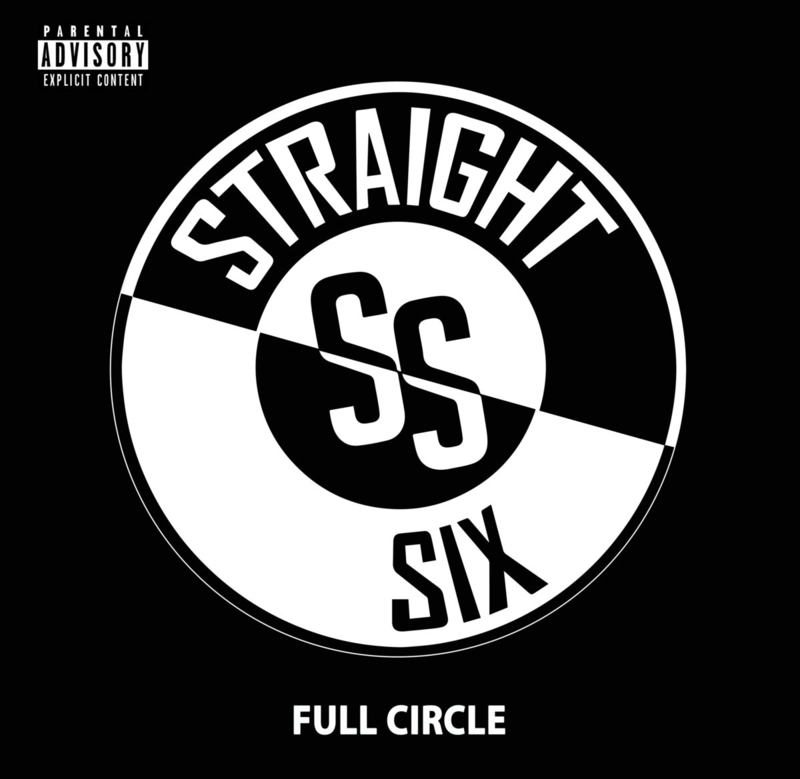 The group effortlessly proves that rock is back with a vengeance and ready to reclaim its hard-edged glory with its full-length debut album, ‘Full Circle,’ which is now available. The 10-track record is the modern day equivalent of the era when classic rock was loud, and the musicians gave their songs their all. ‘Full Circle’ is driven by the dynamic rhythms of Quintana and his longtime friends and bandmates, including guitarist Eric Schaudies, bassist Glen Drieth and drummer Joey Shapiro. The group’s classic rock energy is immediately introduced on the album’s first entry, ‘Aimed at Me,’ which is driven by a wild rock spirit that’s highlighted in the enthralling guitar solos. Aided by compelling drums and an explosive bass line that powerfully binds the rhythm, Quintana lays down atmospheric vocals that are infused with anger, pain, joy and mischief, which help infuse the song with a classic ’80s vibe. The pulsating blend of the vocals and instrumentation promises that the track will be a highlight of the band’s live performances. ‘Aimed at Me’ then transitions into the record’s sophomore tune, ‘Middle of the Ride,’ which is one of ‘Full Circle’s best entries. The song begins in a slower-pace than its predecessor, but it still features snarling guitar riffs, a popping bass line and a dynamic drum shuffle. The lyrics stunningly compare a collapsing tunnel to the inevitable implosion of an ill-fated relationship, which evokes the true attitude of the rock genre. Quintana’s luminous vocals also note that he’s playing it cool and smooth with the woman he’s involved with, but he actually can’t think about anything but her. Another intriguing track on Straight Six’s new record is its fifth entry, ‘Divided We Stand.’ The tune features a stunning nostalgic and swinging style, which is driven by impressive guitar riffs and drum beats. Quintana proclaims that it’s time to realize that even though people stand divided in their beliefs and feelings, they still fall together when they’re vulnerable. He also notes that people have similar downfalls, and he’s also strong enough to admit that he wants a change in life, in order to help improve those faults.